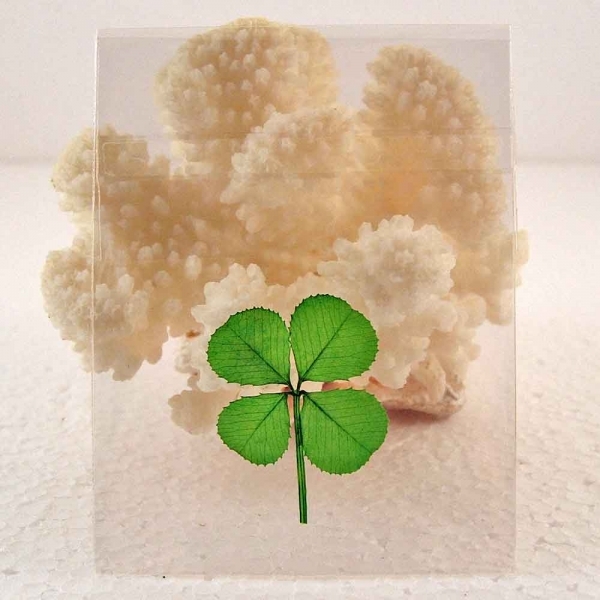 A lucky genuine four-leaf clover that has been hand-picked from the white clover plant, Trifolium repens and received a 5 step process that has pressed and preserved the leaf in its natural green color that will last for years. The leaf is enclosed in a 2" X 2.625" crystal clear sealed cello sleeve. 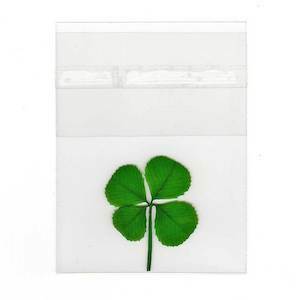 Clover can be removed from sleeve and resealed.